Elon Musk's OpenAI systems compromised to create malware capable of bypassing security software. 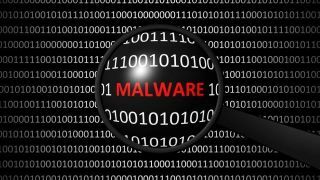 Some of the most notable machine learning tools can be hijacked in order to create super-powerful malware capable of bypassing most anti-virus systems, researchers have claimed. At the recent DEF CON event, security company Endgame revealed how it created customised malware using Elon Musk's own OpenAI framework to create malware that security engines were unable to detect. Endgame's research was based around taking binaries that appeared to be malicious, and by changing a few parts, that code could appear benign to antivirus engines. Endgame's team disguised known malicious software to evade next-gen AV. They monitored the responses they received from the engine and through this they were able to make many small tweaks that allowed them to become even more proficient at developing malware capable of evading security sensors. Over the course of 15 hours and 100,000 of training, the software attempted to learn the blind spots of the next-gen antivirus scanner. In total Endgame was successful in getting 16 per cent of its sample malware code past the security system. Anderson informed attendees that the malware generating software would be available online at Endgame's Github page and he encouraged others to try it out.